As one of the most trusted award-winning Milwaukee catering companies, we have to share our success with those who make it possible. We are so proud of the many partner vendors that help us craft exceptional custom menus and complement our corporate values. We can count on each and every one to provide us with the highest-quality ingredients while benefiting the Milwaukee community that we value so much. To deliver exceptionally fresh and unique menu items and support our community, we partner with local vendors. When we secure the best ingredients from wholesome companies that share our passion for giving back, everyone benefits. Every vendor we work with plays a part in our success—bringing outstanding food and service to Milwaukee events. And today, we want to shine the spotlight on the local companies we support in an effort to give back to our community and showcase all it has to offer. Much like ZHG, the success of El Rey is largely attributed to the hard work of a whole family. El Rey has been family-owned and operated since 1978—growing to become one of the largest Hispanic-owned corporations in Wisconsin. And just as our culinary professionals integrate local ingredients into creative new dishes, El Rey combines authentic Hispanic recipes with superior local resources. For example, they produce delicious tortillas and cheeses using locally sourced products like dairy and corn. By using El Rey’s freshly made tortillas in our homemade enchiladas and tacos, we get to support this family-owned business that gives back to local organizations such as Youth Empowered in the Struggle. So while their multicolor tortilla shells add a beautiful pop of color to our mini-taco appetizer, we can smile knowing that we are benefiting those in need. Everyone loves ice cream—the creamy yet refreshing comfort food. But it contributes to an especially feel-good experience when it comes from Purple Door Ice Cream. 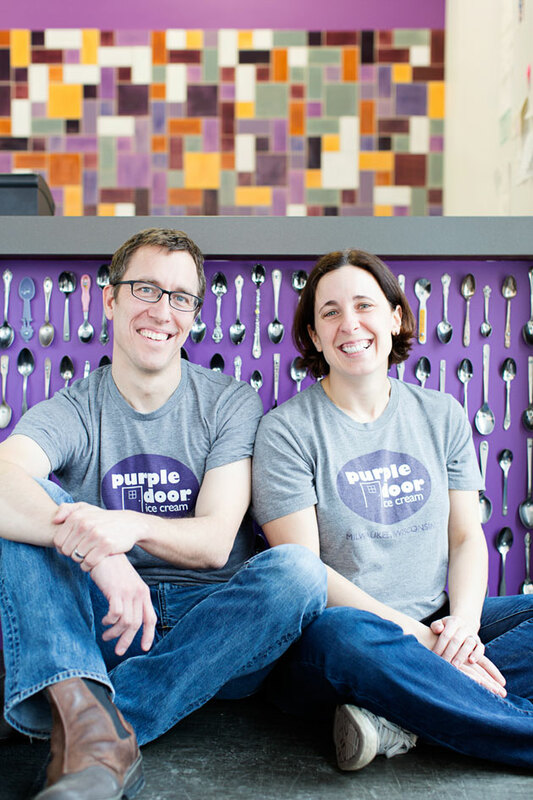 The love Lauren and Steve Schultz have put into their business since starting Purple Door Ice Cream in 2011 is truly inspirational. They share a passion for the highest-quality products, supporting the community and respecting the environment. For example, they make their 14% butterfat ice cream using milk and cream from Wisconsin dairies. As much as we love Purple Door Ice Cream’s flavorful ice cream sandwiches, pops and cakes, we take even greater satisfaction in supporting another company committed to bettering social and environmental issues. Purple Door Ice Cream is a proud sponsor of MILK—an organization that provides fresh milk to Milwaukee-based homeless shelters. They also built their facility using eco-friendly materials and use compostable spoons and cups. Tip: Although Purple Door Ice Cream is delicious and satisfying in its own right, it is simply to-die-for on top of our flaming red velvet donut. We are incredibly fortunate and proud to have the world-famous Klement’s Sausages come to us from right here in Sheboygan, WI. Klement’s is another family-owned company that uses sustainable development to create superior products. And much like ZHG, its key to success lies in the amazing employees who share its corporate vision. From our classic grilled foods found at Milwaukee tailgates and picnics to shot and a brat hand-passed hors d’oeuvres at cocktail hours, we are proud to use Klement’s’s very best. And we have peace of mind knowing that Klement’s makes every effort to eliminate or reduce waste in its business—just one more value we share. As our Milwaukee catering company nears its 50th anniversary of catering in the Milwaukee community, we can’t help but reflect on the valuable relationships we have been fortunate enough to develop with local vendors and partners. 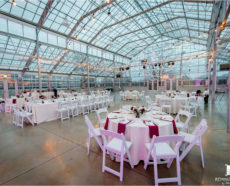 To see how our commitment to servicing clients and our community delivers exceptional service and food to Milwaukee events, contact our creative and meticulous event planners online or on Facetime, or give us a call at 262-547-9447.